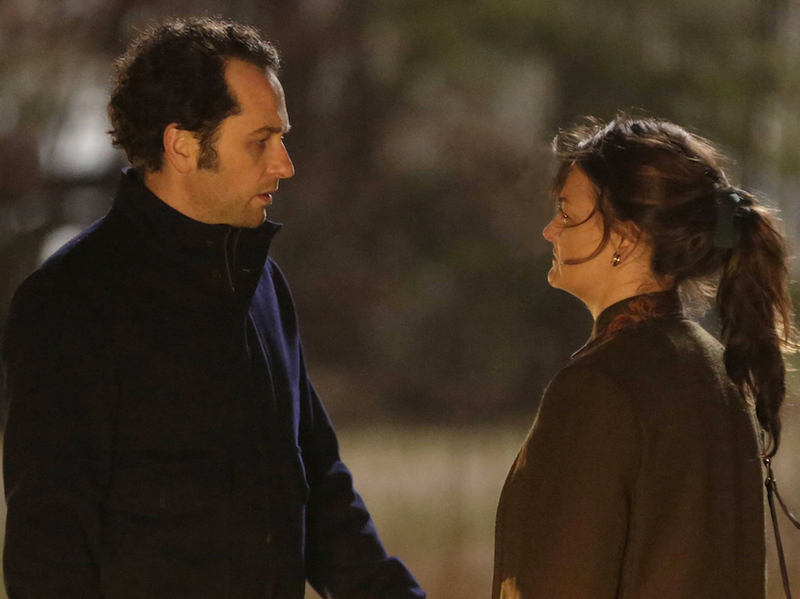 Is this the year "The Americans" finally breaks through at the Emmys? 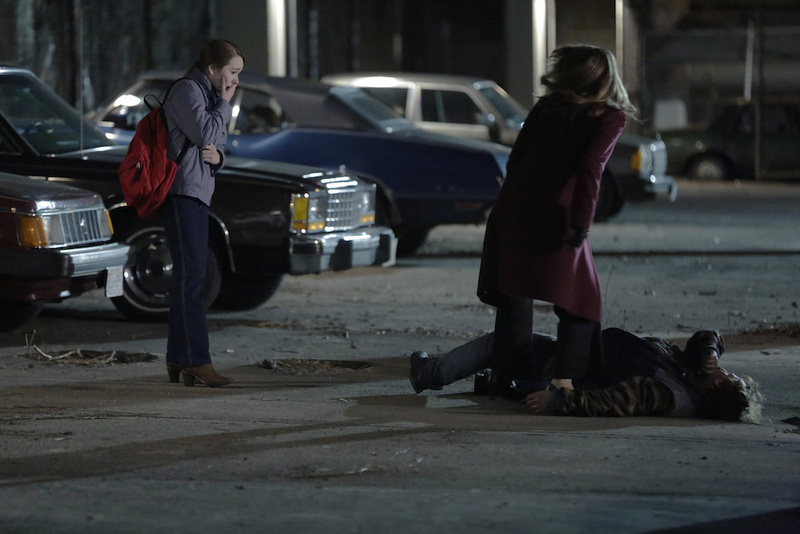 “The Americans” has garnered every critical adulation imaginable, earning countless examinations of its ambitious execution, landing on innumerable Top 10 lists at the end of every year, and even winning the Critics Choice Award for Best Drama Series in 2015. The one prize that eludes it is an Emmy of equal stature. (Margo Martindale won the series’ only trophy for Guest Actress.) Each season, fervor grows stronger and stronger as fans anticipate a much-anticipated breakthrough on nominations day. Thus far, they’ve been disappointed thrice over. But is the fourth time the charm? We hope so. After digging into conspiracy theories with showrunners Joel Fields and Joe Weisberg last year, this year IndieWire instead focused on spotlighting the unique nature of their writing process in a recent discussion. Topics ranged from Martha (Alison Wright) and Young Hee (Ruthie Ann Miles) to the strategic time jump and how being married can affect your perception of the series. I wanted to do a little word association with you, if that’s all right. I’m going to give you an actor’s name, and — if it’s all right with you — pick a scene that really stands out from this season; something that you’re really proud of, something that defines that character, something that just pops into your head. Let’s start at the top with Matthew Rhys. JOE: I went to Martha in the airplane. JOEL: I went to the very last moment of the season. JOEL: That would be [Episode 8], her tearing into Paige. JOE: The scene where [Philip]’s putting Martha to bed. He comes downstairs, and she asks Philip if he would go back to the Soviet Union with Martha if it weren’t for Elizabeth and the kids. Next up is Alison Wright. JOE: I actually went to her silently at the breakfast table. JOEL: Yeah, she’ll never see that again. JOEL: Where I go is the end of episode 12. One word: Great. You’ll know it when you see it. JOE: There’s a facial expression I have in my head. I’m trying to place the scene. [pause] Oh! I’m going to her talking to both her parents after Elizabeth killed the guy. JOEL: That’s 12 also. You were at the beginning of 12, I was at the end of 12. That sounds like a good episode for Holly. Okay, so Noah Emmerich? JOE: I went to the last episode. JOEL: I know exactly where this is. We’re finally at the same one. Yay! Frank Langella, what scene stands out for you? JOE: For me there’s a beautiful scene with Elizabeth, where he’s sitting across from her trying to read something to her about how if she doesn’t want to go through with the Young Hee operation, maybe they can talk to the Centre about finding an alternate path. It’s so moving how he tries to get her to ask for that. He’s incredible. JOEL: Yeah, that came to my mind too. 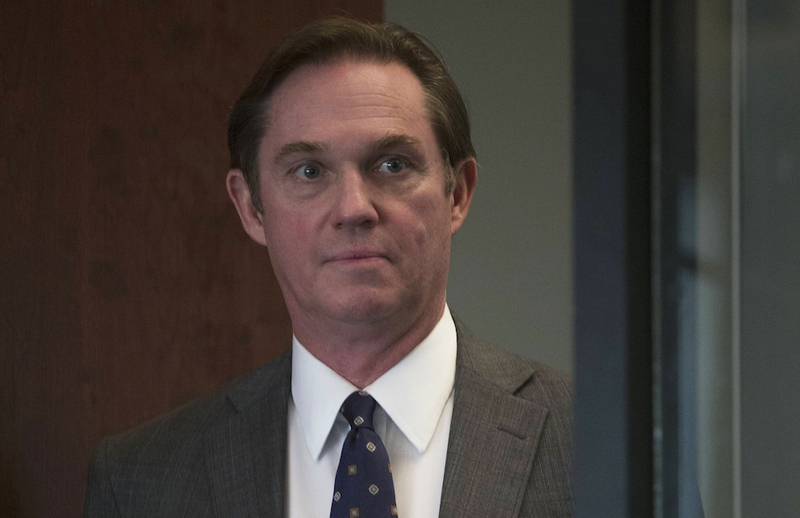 And by the way, while we’re at it, I’ve got to throw a couple at you for another character because Richard Thomas had a sensational season this year. There are two moments that come to me for him — and then as I said “two,” a third one came up. The two that leapt to mind were a) the moment where he said, “That’s crazy,” after they go and save Martha. There’s another great one where he says, “They seduced and married my secretary.” The third was in Episode 8, where he’s talking to Stan, and he’s — with no artifice — giving him perspective on the whole world. There’s something very rich about that performance that’s deep and real. I’m glad you brought him up specifically because I was trying to move through as many as I can, but the whole cast is so good. JOEL: It’s really amazing. Ruthie Ann Miles, who played Young Hee, won a Tony award last year. Her performance is so nuanced and human over the course of this season. It’s just a marvel. In terms of loyalty, Elizabeth seemed to be on the opposite side of things from Phillip, but Young Hee has changed things. Are these two closer to being on the same page than they’re willing to admit to each other? JOE: That’s a great marriage question. If they were, would they even know it? JOEL: We say that that’s a great marriage question because that means we’ll never answer it because we don’t know. We’ll write another couple of seasons answering that question. JOE: Right, but it’s not just rating the question to say it’s a great question. I think Phillip asking that question, in a way, is the answer as far as we’re concerned. Because to us, what’s most exciting about the show is when it gets to those places of rich character questions. To us, being able to ask those questions and explore them is much more interesting and exciting than some simple answer to them. It’s interesting because, from a writer’s perspective, eventually you have to find a resolution — and you’ve always done a great job of finding resolutions, because you either move on to another question or find an ending. How do you find that endpoint? JOE: Well, let me ask you this question. Are you married? JOE: [laughs] Well one day, you might not ask that question. The idea of a “resolution” and moving on, it’s more of an ebb and flow, transformation and regression, reexploration. JOEL: A lot of life in the middle. JOE: And hopefully you stay together. JOEL: And if you do, in a way, the resolution isn’t finding some magical catharsis, the end of which is some platonic ideal of a perfect marriage. The end is: You keep going because you keep going and you continue to communicate as best you can and find mutual respect as best you can and work through the rest. JOE: And 20 million Americans a week agree with us. Oh. Wait. No, they don’t. JOEL: Well, I think that actually 200 million Americans a week agree with us. It’s just that fewer of them are watching the show. Maybe they would rather watch a show about a marriage that’s resolved in one instance. Oh damnit, Joe! Oh hang on, we’ve got to go. Next show. We’ve got to do a rewrite. Do you write from an emotional angle? Do you just keep exploring it until you feel like it’s been covered? JOE: We’ve taken different approaches to it, and I think we had a pretty traditional approach to it in Season 1. We told these episodic stories and not only were they episodic plot stories, but in a way we tried to have episodic marriage stories each week as well. We felt going into Season 2, we wanted to tell more serialized stories in all areas — in both the plot espionage stories and in the family and marriage stories. The whole balance shifted and the emotional family and marriage part of the show got much more room. Martha’s storyline this season has been really fascinating, and that final scene with her, when we’re building up to it, it really felt like anything could happen. How many alternate endings did you explore for her? JOEL: Well, we didn’t really explore any alternate endings for her. We knew that that would be the end of that story for a long time. Although, the specifics of those few words she uttered when she said, “Don’t be alone,” we worked on that quite a bit and there were some alternates there. Although the big flash in part of that episode was that it was finally Martha’s exit there, the emotional substance was seeing that impact on Philip and seeing how that impact on Philip impacted Elizabeth and their marriage and what that led to for them together. Although the big flash in part of that episode was that it was finally Martha’s exit there, the emotional substance was seeing that impact on Philip and seeing how that impact on Philip impacted Elizabeth and their marriage and what that led to for them together. JOE: The other thing to say about why the ending of that story was so clear to us and why we didn’t explore alternate endings is that presuming that they didn’t have to [kill her]. We played around with the idea that they might have to kill her because she’s trying to get away. But presuming that that didn’t happen, it was clear to us that everyone involved would want to get her back to the Soviet Union safely. So there was never an idea in our head that either they or their boss in Moscow would want to kill her out of malice. Then you guys went and did this amazing seven month time jump. When and how was that decided, and how did you settle on seven months? JOE: [laughs] We had a struggle between six or seven. JOEL: [laughs] We decided seven because it was a little less symmetrical. This is going to sound absurd, but there was something that felt a little generic to us, so we went seven. We wanted some sort of specificity, so in order for specificity, we randomly chose seven. JOE: There were a lot of things going on in a lot of the storylines that seemed to call for leaping forward in time from the emotional states of Philip, Elizabeth and Paige, which seemed like it would greatly benefit from being able to take Philip and Elizabeth, who were at this sort of breaking point in terms of stress and needed to be able to recover from that. At the same time, the Young Hee story would benefit from that time off because we do really want to see the next seven months of that operation developing so we could come back perfectly seven months later. And there were also weather questions. It gave us a great chance to deal with what was happening here in New York in terms of weather. So everything kind of coalesced. We were nervous about it, but it all came together really nicely. Time jumps are one of those things that when it happens, it’s always a surprise. For this, it really fit in perfectly, and yet I bet no one knew it was coming. Somehow you guys keep doing that — creating surprising situations that just fit. So I guess a lot of my questions are geared around the idea of: How do you do that? JOE: Oh, that was so good. The “Girls” time transition was so good.